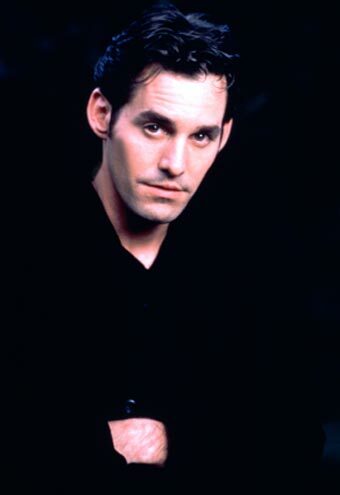 … imagine Xander is confronted by a group of vampires, and asks himself what Buffy would do. Buffy would most likely take advantage of her unique abilities as a slayer and make short work of the vampires. But if we imagine Xander without these abilities, attempting to do the same things, it seems that we’ll end up with one dead Xander. Still, with all due respect to Kawal, I maintain here that his answer is not the correct one. After all, Buffy’s thoughts on what others should do — even when taking into account their non-Slayer limitations — are not always the best in objective terms. In just one example, in the finale of the fifth season, Buffy tells the Scoobies that she will kill anyone who harms Dawn, her little sister, even though doing so would prevent the end of the world. The question of whether it would be ethical or moral to kill Dawn — sacrificing one to save many — is an entire essay unto itself, so I will not address that issue here. The point is that Buffy’s own judgement and thoughts on what others should do are far from being objective. In addition, it seems that most of Jesus’ followers had abandoned their wives and families to join him. If everyone would do similarly, then a country would be full of lonely, impoverished people. (For more on this point, I recommend looking at Immanuel Kant’s ideas on the categorical imperative and how, perhaps, the question of whether an individual action is ethical depends on whether it would be good for everyone to do the same.) In a similar context, imagine if everyone would follow the Buddha’s advice and eschew any desire. No businesses would be formed, no men would pursue wives, and no women would pursue husbands. And so on. Xander is the Everyman (see here for the background and here for the piece of English literature on which the term is based) among the Scoobies. Buffy, Faith, Kendra, and the Potentials are, were, or will be slayers. Willow and Tara are powerful witches. Anya is an ex-demon. Oz is a werewolf. Giles and Wesley have extraordinary amounts of occult knowledge. Angel and Spike are vampires. Xander is the only person (except, later, Dawn) who has no extraordinary or supernatural abilities. We human beings without superpowers cannot be Buffy, but we can be Xander. As a result, the issue is whether we should be like Xander and, if so, how we can be like Xander. The core question, however, is “Which Xander?” In Season 1, he was largely an immature teenager who acted mainly on his desire to “hook up” with Buffy — he had little other motivation, at first, to fight evil. In the fourth season, he is unsure of his role in the world, a “townie” (as he is often described) who did not go to college, a guy who lives in his parents’ basement, and someone who hops from part-time job to part-time job. However, he grows immensely over the latter seasons. Xander becomes the manager of a construction crew, rents a nice apartment with Anya, and finally saves the world all by himself at the end of Season 6. The character arc of Xander, in my opinion, reaches its conclusion in the first episode of Season 7, which is meant to refer “back to the beginning” of the show. Xander is first seen driving confidently to Buffy’s house in a suit and showing her the blueprint of the new Sunnydale high school while explaining the layout. In the first episode of Season 1, Xander is an awkward teenager who is riding a skateboard (badly) and then knocks himself to the ground when he hits the handrail of the stairs. His growth is enormous, and I would argue that the amount of change in his character is the second highest only to that of Willow. Later in Season 7, he comforts a dejected Dawn in “Potential” — without the addition of an inappropriate, sexual comment like that with which he comforted Buffy as described earlier in this essay — and treats her like a cherished little-sister. Even after Xander loses an eye in battle, he does not wallow in self-pity like he did when Buffy rejected him at the end of Season 1 — he makes jokes that are as inappropriate as they are funny. (“There’s a party in my eye socket, and everyone’s invited!”) Despite the damage that Willow caused in Season 6, he accepts her later without question and does whatever he can to comfort her — hence, the sign in yellow crayon at the airport. What Would Buffy Xander Do? We get our first insight into Xander’s true, independent character (what he does when no one is around), of course, in the Season 3 episode “The Zeppo.” By himself, Xander saves the day (while the other Scoobies are fighting another evil elsewhere) by thinking clearly and rationally even to the point playing chicken with a zombie by accepting that both of them would die in a bomb blast. Later, no one else ever finds out what Xander did. He never told anyone, and he never bragged — not even to Cordelia, who had continued to make fun of him after their break-up. Instead of insulting her in return (as he would always have done), he just walks away silently, knowing what he did and that he was the better person. “The Zeppo” foreshadowed the mature Xander to come. So, if we accept that Xander is the person who we Everymen (and Everywomen) should emulate, what would that mean? Always putting others first, even if it hurts you. While Xander probably should have told Anya about his doubts (expressed first in the “Buffy” musical episode) long before the day of the wedding, he left her at the altar (was there an altar?) not out of any selfish reason but because he thought that Anya would not be happy with him years later. He did, rightly or wrongly, what he thought was best for her. Accepting your limitations and knowing your strengths. Helping others whenever you can. See Xander’s memorable and touching speech to Dawn in Season 7. Buffy chose Xander to take Dawn away (unsuccessfully) from Sunnydale before the final fight of the series, and she selected him to protect her during that fight. If you have other ideas on whether and how we should emulate Xander, please comment below! We’d love to hear what you think.